In this article, I will try to explain how to set up vHosts and SSL certificate. What is vHost? vHost or virtual hosting is a way to host multiple websites on a single server. What is a SSL Certificate? 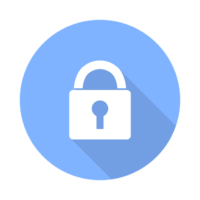 A SSL Certificate is used establish up a secure encrypted connection between the browser and the server. In my last article I explained how to set up an Amazon Linux server with Apache, PHP and MYSQL. Therefore if you have not done this yet, please read this article first and follow the steps. Here are some help to understand the basic Linux commands we will be using on this tutorial. Remember from last time, our current default site root was /var/www/html. What we will be doing now is to create a new folder under /var/www/. Now under /var/www/vhosts/ you need to create a folder for your website. Next step is to create an ssl.conf file in /etc/httpd/conf.d/ssl. Since the “ssl” directory does not exist, you need to create it. It is now time to get a SSL certificate. In this tutorial, we will be using a single website certificate from Comodo. We are now going to generate a private key and a CSR (Certificate Signing Request). You are now going to specify Country code, State or Province Name, Locality Name, Organization Name, you can skip Organization Unit Name, Common Name (website.com), You can skip email and challenge password. When buying a certificate you have to use your Certificate Signing Request, so open website.csr and copy everything inside. Just mark everything and press the right mouse button to copy, exit the file without saving. We now have to append website_com.crt, COMODORSADomainValidationSecureServerCA.crt and COMODORSAAddTrustCA.crt into one file and so that the ssl certificate remains on top. Copy the following code to your ssl.conf with nano editor. To paste it in nano editor, press the right mouse button. As you see I have added a second VirtualHost, just to show you how easy you can add a second website. Edit the file so that the directories and certificate files are correct. When finished you should save the file with ctrl + x and restart apache with this command. Your server is now configured to work with multiple websites and ssl certificates. Please leave a comment if you have any questions!